Do you have a 6th or 7th Grader? Are you thinking about the SHSAT or ISEE tests to get into specialized or private high schools? Decoding the SHSAT & ISEE Workshop will give you a comprehensive overview of both tests and the world of specialized and private high schools. A detailed understanding of how and when to help your student prepare for both tests. Information you need on potential changes to the tests or admissions standards in the near term. A resource list with information on where to find updates on both admissions tests. An explanation of test prep options available to your student that include some free and student-led. This can be a stressful time in a young student’s life. As parents, we can help alleviate some of this stress by arming ourselves with non-alarmist, up-to-date information, a roadmap for planning, and a focused understanding of how to best guide our children. Cost: $25.00 for Members & $30.00 for Non-Members - this is non-refundable. A portion of the proceeds from this workshop will go to www.826nyc.org. This workshop is led by the educators of Bee Tutored. 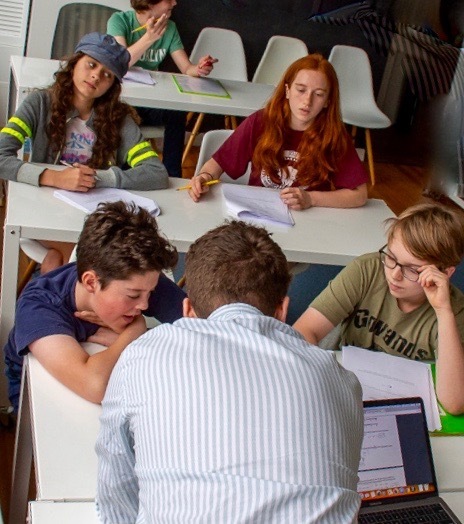 Based in Park Slope, Bee Tutored provides individualized attention and support through admissions guidance, assistance with homework and test preparation, focusing on specific skills and disciplines, and teaching mindfulness. Bee Tutored serves students from elementary through college prep.